Oprah Winfrey Network has acquired television rights to Mandela: Long Walk to Freedom. 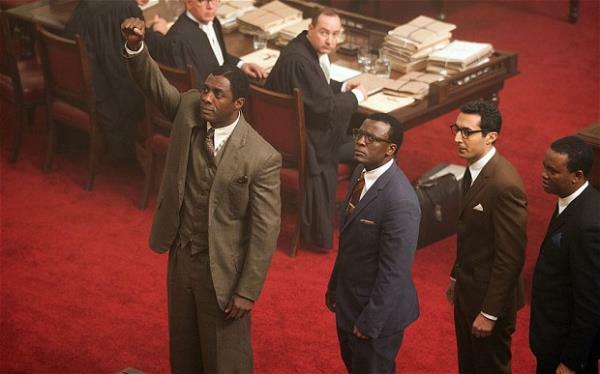 Idris Elba plays Mandela, who died at 95 on Dec. 5, while Naomie Harris portrays his wife, Winnie Mandela. The network will premiere the film, directed by Justin Chadwick, in 2017. "We couldn't be more honored to showcase this powerful film to the OWN viewers," said Erik Logan, president of OWN. "Nelson Mandela was Oprah's hero, and ultimately, the inspiration behind Oprah's school in South Africa. His story of forgiveness and redemption is a gift not only to the people he touched, but to the world."